We are top supplier of soybean seed. We purchase best quality soybean seeds from mandi. We have more then 15 years of experience in this industry. Soya meal is a free flowing coarse granular material, is produced from cleaned soybean seeds after series of preparatory physical processes followed by multistage extraction of oil. Soya meal is manufactured from NON-GMO- soybean seeds, under highly sophisticated multistage hygienically controlled plant. 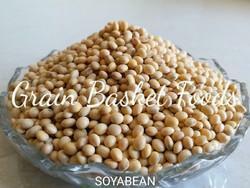 We also offer good quality of soyabean seeds we produced this soya seeds from our big and irrigated facilited farmers. We hold expertise in offering a remarkable range of Soyabean Seeds. Our product range is rich in protein, and is a regularly consumed cereal in the international market. This product is fat-free, low-cost, and is an ideal source of protein for animal feeds as well as other pre-packaged meals. 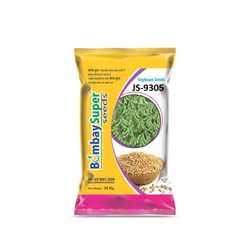 These seeds can be custom packed according to the specifications provided by our clients. We have gained high level of client satisfaction by providing a superb quality collection of Super Soya Seeds within the specific time frame.